In a practice that goes against the very spirit of the Right to Education (RTE) Act, several parents have been asked to pay large sums of money under various sub-heads, like fees for smart class and examinations, by some private schools. Lakshmi (name changed), a domestic worker, who has admitted her son in class 1 of a school in Hulimavu, paid Rs. 7,000 at the beginning of the academic year for uniforms and books. “I thought I was done with paying the fees. Now the school has raised a fresh demand. If we do not pay, they will not allow my son to appear for the exams,” she said with tears in her eyes and added that she was forced to pay Rs. 1,000 on Monday. Block Education Officer (South 3) M. Munireddy said that the management has been directed to refund the fees and also said that a notice would be issued to the school. RTE Students and Parents Association general secretary B.N. Yogananda said that this is not an isolated case. Private school managements admit to flouting norms but claim the government’s reimbursement ceiling (Rs. 11,848 a year for a child admitted to class 1 and Rs. 5,924 a year for pre-school) is insufficient. A private school management representative pointed out that it is yet to receive reimbursements for the 2014–2015 academic year. The Hassan District Education Rights Committee has criticised the State government for the way applications had been accepted this year for admission in private schools under the Right to Education Act. The online facility for submitting applications and the annual income limit fixed for claiming seats under the Act have been criticised by the committee. B.G. Gopala Krishna, president of the committee, said in a press release issued here on Sunday that the applications were made available online from January 18 to February 21. Since the beginning, the servers were slow, forcing the applicants to wait for long hours to complete the process. 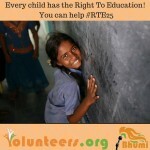 The objective of the RTE was to provide the downtrodden people with an access to quality education. “The idea of introducing online submission of applications is absurd as many people hardly get access to internet to submit applications. Despite repeated demands for more time to apply, the government extended it by two days,” he said. The government had allowed families with Rs. 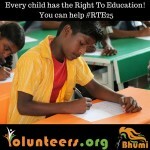 3.5-lakh annual income to seek seats under RTE Act. “This is against the interests of poor people and favourable to the rich,” he said. With several parents changing their child’s date of birth, wards, phone numbers and filing multiple applications to obtain an RTE quota seat in private unaided schools, officials of the Department of Public Instruction (DPI) are now struggling to scrutinise the 2.75 lakh applications they have received so far. In an attempt to secure a seat, officials said that some parents have fabricated details and even worked out several permutations and combinations to obtain a seat. “With the entire system being computerised, genuine candidates may not be able to obtain seats as some parents have fudged their details,” a department official said. Although the number of applications is 2.75 lakh, the number of schools applied to will be far more and is yet to be compiled by the department. The number of seats available under the RTE quota across the State is 1.19 lakh and the number of applications represents an inflated demand as there are multiple applications. Commissioner for Public Instruction Mohammad Mohsin said that the department officials have been directed to screen the applications to look for duplication and weed out multiple applications. After several activists and parent associations met Minister of State for Primary and Secondary Education Kimmane Ratnakar, the deadline to apply for the RTE quota seats, which was supposed to be on Thursday, has been extended till February 21. Meanwhile, the servers for applying for the RTE quota seats online on Wednesday were not functioning. Many parents complained that they were not able to upload their applications. Department officials claimed that it was because the number of applications received was far too many. To tackle this, department officials have been instructed to close the school portals and make arrangements for public to apply without any glitches. The RTE Students and Parents’ Association has asked the school education department to extend the last dates of admissions for reserved seats under the Right to Education Act by another 15 days. February 19 is the last date for submitting applications. Speaking with the Deccan Herald on Monday, B N Yoganand, general secretary of the association, said: “A number of parents have applied for income certificates but they are yet to receive it. Also for the first week, the servers were very slow. As a result, not many applications were processed,” he said. He also said that a few block education officers did not display the complete list of seats leading to confusion and delay. Members of the association submitted a request in this regard at the offices of Department of Public Instruction (DPI) and the Ministry of Primary and Secondary Education, on Monday. The office of the Block Education Office, Mangaluru South, in association with students of Govindadasa College, staged street plays in different parts of the city to generate awareness about the Right to Education Act, especially about the 25 per cent free seats for students from economically backward communities. The students started with a 15-minute long play near the busy SBI junction wherein they highlighted the reservation of 25 per cent seats in the neighbourhood schools. The students then staged the play at Mangaladevi Temple, Kankanady and Kadri Markets, Kuttar and Ullal. There has been slow progress on applications for claiming free seats for LKG and class I — launched on February 1 — in schools in the district. As on Thursday, 1,507 applications have been filed for the 1,796 seats available in Dakshina Kannada. Unlike last year, applicants have to choose schools in their neighbourhood and the choice has to be done online. For the 489 seats available in Mangaluru South block, 282 applications have been submitted for admission to class I. As many as 518 applications has been filed for the 442 seats available for admission in Mangaluru North; 379 applications in Bantwal (418 seats available); 209 applications in Belthangady (190 seats); 174 in Puttur block (370 seats); 120 applications in Sullia Block (92 seats); and 78 in Moodbidri block (124 seats available). Block Education Officer Jnanesh, Dakshina Kannada Zilla Panchayat Member Yeshwanti Alva, former Deputy Director of Pubic Instruction Moses Jayashekar and Mangaluru South Police Station Inspector Dinakar Shetty participated in the formal launch of the street play programme at the SBI Circle. With school admissions under Right to Education (RTE) Act round the corner, tahsildar offices in the City are flooded with applications for caste and income certificates. However, large-scale corruption is being reported while issuing these certificates, mainly in South, North and West zone tahsildar offices, in view of more number of schools. In a complaint filed with the Upa Lokayukta, Aam Aadmi Party’s (AAP) Karnataka Education Wing has stated that Rs 600 to Rs 1,000 was being demanded as bribe per caste certificate and applications werebeing rejected on flimsy grounds for not paying bribe. In South zone alone, around 5,000 applications for caste certificates are received every day from five hoblis. AAP members said that the demand for bribe had come to light about a month ago during a sting operation. 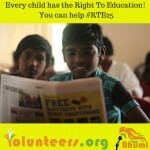 “We had been trying to help children from low income groups to get admitted in schools under RTE. At the Nada Kacheri in Begur, the children and their parents were denied caste certificates. When we visited the spot, touts were found sitting on the chairs of clerks and officials inside the office, demanding bribe. We recorded the demand and they took to their heels. One of the touts left behind a bag, containing 80 caste certificates about to be issued and around 100 applications. We approached the Electronics City police since we started getting threatening calls from some unknown local leaders. A case was registered at the Electronics City police station which is yet to be transferred to the Lokayukta police,” AAP member Prakash Babu said. Further, it was found that the tahsildar office was used as the centre to reject the applications. The complainant before the Upa Lokayukta Adarsh R Iyer, State working committee member of AAP, said that around 35 applications filed on behalf of the children from Gulbarga Colony in Jayanagar were rejected stating that none of the family members possessed a school certificate. Upa Lokayukta Justice Subhash B Adi visited the tahsildar’s office on KG Road and found touts loitering around the office and applications being rejected without any valid reason. “Based on the applications filed, the Revenue Inspector visited the houses and submitted the mahazar report stating that the children belonged to the caste stated by them in the applications. However, at the tahsildar’s office, it was pending before case worker Narayanappa. He finally rejected the applications on the ground that the applications were not accompanied with school certificate of any of the family members of the child,” Justice Adi said. There is a huge rush for seats in unaided private schools under the Right to Education (RTE) reservation quota and a large number of parents have already submitted applications online for admissions to private aided and unaided schools. In all, 4,141 seats are available in private unaided schools in 428 schools in the city, under the RTE Act this year. Of the 4,141 total seats, 2,590 seats are available for lower kindergarten, while 1,551 seats are available for class 1. This is against the 4,486 seats allotted last year. The admission process began in the district from January 18 and applications will be received online till February 19. All aided and unaided schools, barring unaided minority institutions, have to reserve 25 per cent of the total seats for SC and ST and minorities under the RTE At. The taluk wise availability are as follows: 286 seats are available for class 1and 71 seats for LKG in T. Narasipur taluk from 30 schools. In Mysuru South, 648 seats are available comprising 38 seats for class 1 and 610 for LKG from 66 schools. In Hunsur taluk, 369 seats are available of which 353 are for LKG and 16 are for class 1. In Mysuru North, 916 seats are available of which 234 are for class 1 and 682 are for LKG from 96 schools. As many as 261 seats are available in K.R. Nagar taluk of which 144 are for class 1 and 117 are for LKG in 27 schools. In Periyayapatna taluk, 203 seats are available for class 1 in 34 schools. Bengaluru: Now that’s a bitter irony. While one of the purposes of the RTE Act is to save poor parents from paying private schools through the nose, someone else is fast emptying their wallets. Taking advantage of the online RTE application system launched by the government this year, internet cafes are making a fast buck from those wanting to submit the application. They are allegedly charging anywhere between Rs 200 and Rs 300 for submitting application forms on the education department’s website. Aspirants of RTE quota seats mostly come from poor families, with little knowledge of computer or an internet connection at home, and that’s where they are being exploited. Prakash, an autorickshaw driver, along with his friend tried several times to submit the RTE application online. But when they failed, he went to a browsing centre. “The centre charged Rs 300 to submit the application online. This isn’t fair; they charge Rs 30 to Rs 50 from those who know to operate the computer,” said Prakash. Lokesh Gowda, a hotel employee from Halasuru, said that apart from charging Rs 300 for submitting the application, internet cafes are cheating parents by charging Rs 100 to scan photos. Lokesh wants the education department to set up temporary computer centres to facilitate submission of forms. A group of irked parents claimed the government introduced the online system more to aid private schools than parents, as many of them are struggling to upload their applications, with some even opting to drop out. The process of submitting RTE applications online started on January 18 and will go on till February 19. While students can submit the applications directly at the schools also, not many institutions are welcoming them. Intimidated by this, many parents are turning to internet cafes, where they are being fleeced. Inspite of technical hindrances, online application submission process introduced to apply for 25 per cent reserved seats in private schools (except minority) under Right of Education Act for the academic year 2015-16, has proved a success. In the first ten days, from January 18 to 28, more than 43, 753 applications have been submitted online in the State. February 19 will be the last date for online submission of the applications. According to Department of Public Instruction sources, in ten days 22,498 applications have been submitted for pre-primary (LKG) and 21, 255 applications for Class one. Among 34 districts, Bengaluru North tops with 10,665 applications (4,650 LKG, 6,015 Class one), followed by Bengaluru South with 7,723 applications (3,617 LKG, 4,106 Class one), Bellary with 2,474 applications (751 LKG, 1,723 Class one) and Mysuru with 2,131 applications (1,368 LKG, 763 Class one). In Dakshina Kannada 238 members have been applied (54 LKG, 184 Class one), 634 in Udupi (622 LKG, 12 Class one) and 180 applications have been uploaded in Kodagu (133 LKG, 47 Class one). The online system has received good response in North Karnataka as well. However, Sirsi (22) and Uttara Kannada (39) are yet to reach three digit mark. “There was a problem in submission of application at the beginning which has been solved now. We have not received any call from parents about the inconvenience. They can apply for the seats off-line also; however they should enter the information online with original documents. Information has been provided in the department website- www.schooleducation.kar.nic.in, under ‘instructions’,” a department staff told Deccan Herald. For the verification of the applications, sometimes problem occurs during the ‘login’ stage, he added.